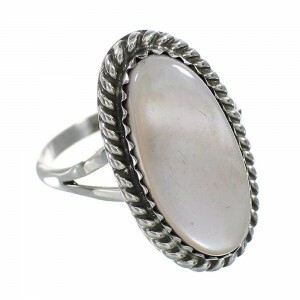 Take advantage of the great price on this amazing ring! 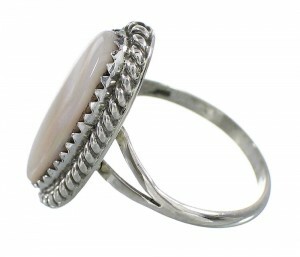 This piece of Native American jewelry is Navajo hand crafted by artist B. Benally, out of genuine sterling silver and a real Pink Shell. 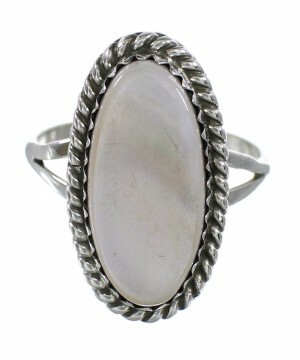 The ring has ONE shell that is gently set in hand cut bezel, while being accented with twisted silver for a marvelous finish. 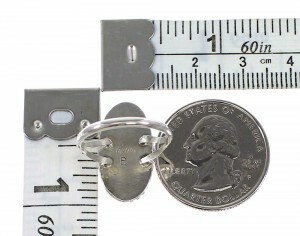 Ring is hallmarked.